Looks like Dutch Lady is penetrating the Growing Up Milk 6+ segment by launching this new product. Is there a market for Growing Up Milk 6+? I thought everyone drinks Milo after 6 years old. Entry filed under: FMCG. 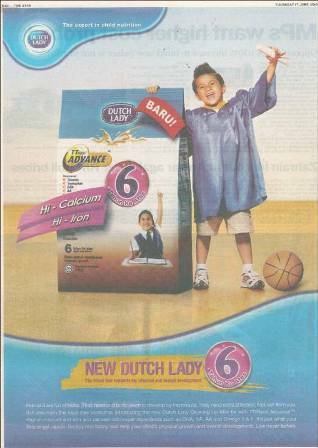 Tags: dutch lady, growing up milk, GUM 6+, infant milk.